A Tree Service has an ISA certified crew and arborists that have been hired for tree work for over 25 years. We offer Tree Removal, Trimming and Stump Grinding for Shoreview MN and the surrounding cities. Get your yard back to pristine condition with just a lift of the phone. Our Shoreview Tree Contractors are experts that are here to answer your call and complete the job. Tree Removal – There are some trees that grow to be a danger to your hard-earned investment. We have experience removing trees too close to your home, in bad condition and in tight places. Our crane tree removal services make the job go smoothly and efficiently. Removing a tree with a crane means less mess, with a more precise removal. Tree Trimming – Sometimes it is just the branches you want gone. Whether it is dead branch removal or pruning is necessary, our team has the equipment necessary to complete the job to a T.
Stump Grinding – When you want a tree removed, there are some that leave the stump. For others, they want it all gone. Which means tree removal and stump grinding within the same time. A Tree Services has the fleet to make that happen. If this winter has left a mess, storms have downed your trees or growth is getting in the way; A Tree Service is the company you can trust to get the job done and make a difficult task look easy. Our first Tree Trimming, Removal & Stump Grinding estimate is always free. Contact us today and let’s get your yard back! 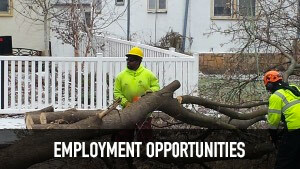 This entry was posted in MN Tree Contractors and tagged Shoreview Stump Grinding, Shoreview Tree Removal, Shoreview Tree Trimming, Tree Care Company, Tree Contractors MN. Bookmark the permalink.